In Altoona Washington is a house called Dahlia, named after the woman for whom it was built. The young groom built Dahlia to prove to his new father in law that he could provide for his new bride. Dahlia was sitting right on the ground. 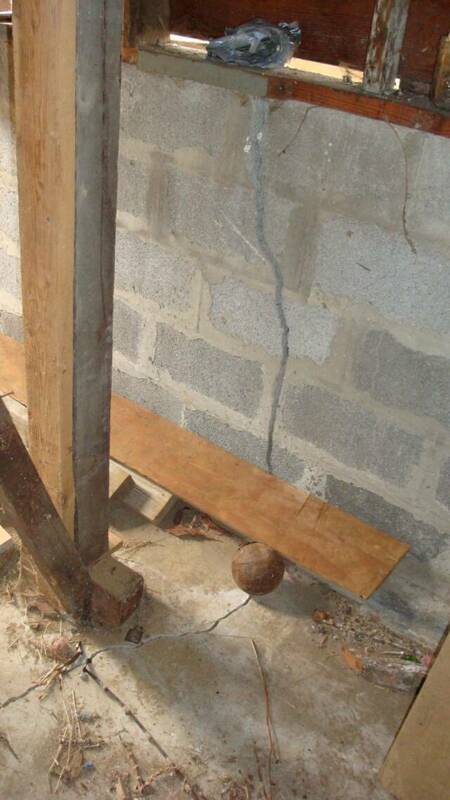 We used 16 ten inch I-beams alongside the floor joists to lift, level and give her a new foundation!! This ten year old structure in Hammond, Oregon was the victim of poor filling practices where the builder went in and filled over stumps, roots, and marsh. 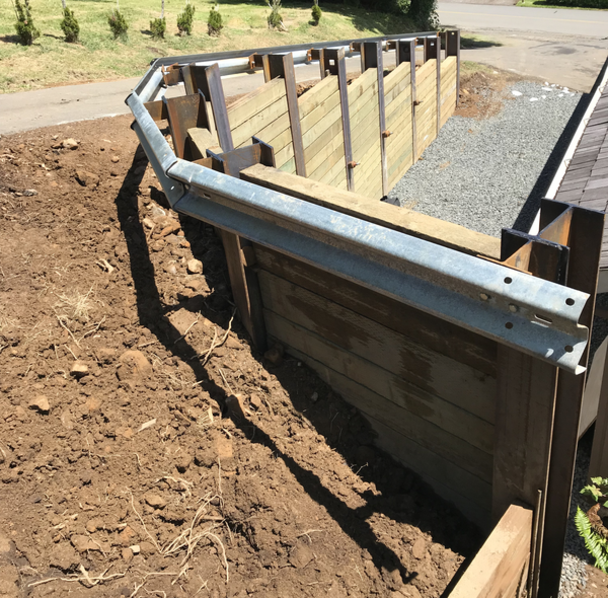 We used a Helical Pull Down Micro Pile for added corrosion resistance as well as increased lateral stability to loose soils. Transferring the load to Underpinning Brackets. Bergeman Construction had 48 hours to shore up this building before the City of Astoria was going to demolish it. We were able to shore up the house in the allotted time and save the structure! 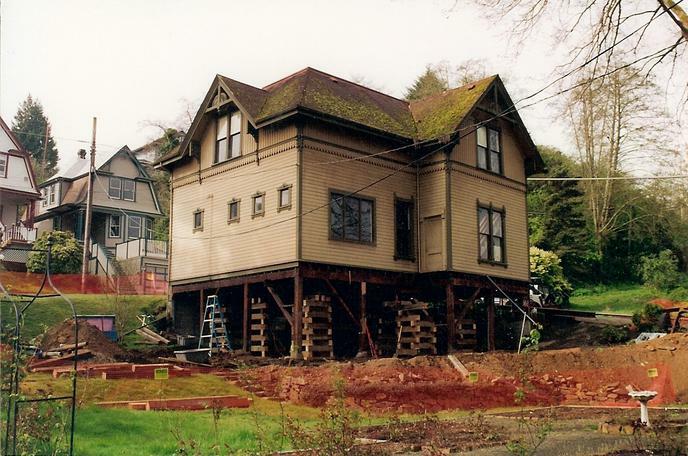 This house foundation is a result of "commercial property" excavating without any proper soil samples or stabilization. Once they started digging behind his house it began to slide down towards the area that was being "Dug Out". Note how the above picture shows that the existing pier is leaning almost 40 degrees! Being entrusted with the irreplaceable, one hundred year old Flavel Carriage house was a great honor and a compliment to Bergeman Construction. 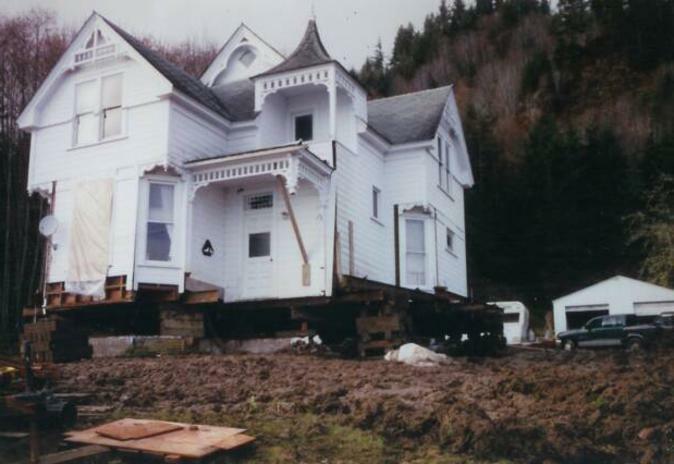 When Clatsop County Historical Society needed a foundation upgrade and replacement, they called Bergeman Construction. 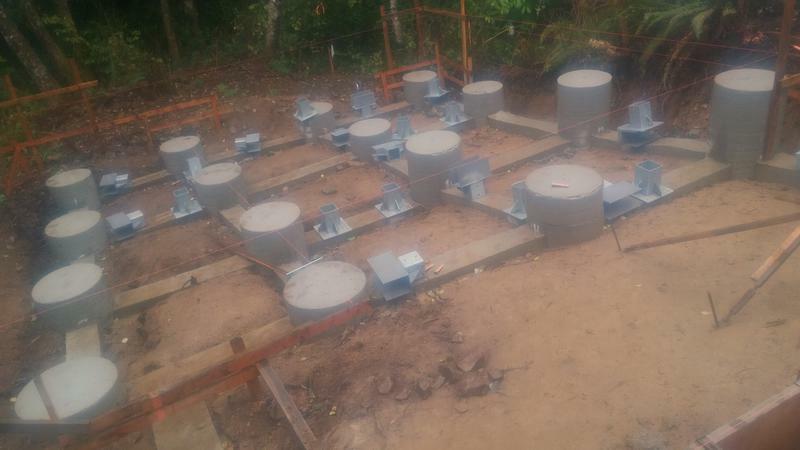 This is an example of a new concrete pile foundation that we built to support a cabin.